Discussion in 'International Relations' started by brahmos_ii, Oct 30, 2016. A study conducted by the Jammu and Kashmir Police on the current protests, which erupted after the killing of the militant commander Burhan Wani in July, says there is sharp de-escalation in violent incidents and the Valley is moving towards normalcy. Though the study calls the current unrest a rural uprising, it says there were 2,250 incidents of protests, clashes, marches across Kashmir since July 8. Of the 2,250 incidents, 1,566 were reported from the rural areas while 651 were reported from the towns. However, in the last week of October only 10 incidents took place. From August people participated in pro-freedom and anti- India marches and rallies. In August this year, five to 10 rallies were taken out each day where 50,000 people participated. In October, just one rally was taken out in a week and where only 100 to 200 people participated, says the internal study of the police. Initially the protests erupted in south Kashmir. The four districts of south Kashmir witnessed 725 incidents of violence while three districts in north Kashmir saw 715 such incidents. In the central Kashmir, 810 incidents were reported, with Srinagar witnessing 650 incidents. Only 78 incidents were reported from Ganderbal district. “In Srinagar protests and clashes were witnessed from areas which could be described as the rural belt of Srinagar like Parimpora, Tengpora, Nowgam, Narbal, etc.,” the study says. Most of the violent incidents have taken place on Fridays with July 9 witnessing 201 incidents. But on October 17 only one such incident was reported. In the first week after July 8, 470 incidents were reported from across the Valley while in the last week of October the number has gone down to 31 incidents. The police say around 44 police and government building were burnt in the past 100 days, and 52 police and government buildings were damaged. In all these four months 23 schools were also burnt. Since July 8, 67 militancy-related incidents took place in which six policemen and 35 army men were killed. During the uprising, 18 foreign militants were killed and 50 people joined the militancy. Police say around 75 people have been killed including two policemen in the past four months. However, human rights activists say over 90 civilians, including school-going children, were killed in pellets and bullets fired by the security forces. The police have arrested over 6,000 youths involved in various cases including stone throwing, and over 450 political activists and separatist leaders have been booked under the Public Safety Act. Of the 6,000 youths, police study says 4,800 have been released on bail. “Tempest is almost nearing an end. We are moving rapidly towards normalcy as there is sharp de-escalation in the violence. We expect peaceful days ahead,” says a senior police officer. thesolar65, R!CK, PARIKRAMA and 3 others like this. That is the base of any insurgent movement. A small minority fanning the trouble always ... and the vast neutral majority suffering. Nothing new here. thesolar65, R!CK and PARIKRAMA like this. Actually they have now seen the writing on the wall, how India caught their masters across the border . They have seen how Pakistan has been and is being mauled by Indian forces daily. And so have now come to their senses. If we manage to keep this pressure for a few months or if we are able to eliminate Pakistan if it declares war the all their so called dream of independent Kashmir will go kaput and then Modi Government should dissolve article 370 to finish this matter once and for all. The 100 also who financed them, it needs to be ascertained.. Only then we can understand who is the real puppet master to take them out in a proper manner..
thesolar65, Inactive, R!CK and 2 others like this. Well the terrorists have now started burning the schools in Kashmir. The strategy is to keep the population uneducated which lead to unemployment and frustrated youth who are prime candidates for brain washing and stone pelting. Srinagar: Opposition National Conference's working president Omar Abdullah on Sunday expressed disappointment and grief over incidents of schools being burnt in various parts of Kashmir saying this was an "abhorrent ploy to destroy the future of the children" and blamed the state government as well as separatists for the situation. "Our schools hold the key to the self-reliance, dignity and empowerment of our future generation. An assault on our schools is an assault on our children, their future and their dreams. "These are clear, unambiguous attempts to rob our children of education and intellectual growth and there can be no doubt that these elements who attack our schools are the enemies of our children and the enemies of enlightenment," Omar said in a statement issued here. The former Jammu and Kashmir chief minister said the administration is responsible for protecting the education infrastructure in the state and it should take the "sternest possible action" against those found guilty of such incidents of arson. Omar also hit out at the separatist Hurriyat Conference saying its leadership should realise the "cost of its reluctance and delay" to condemn such behavior unequivocally. He blamed both the administration and the Hurriyat leadership for "failing to speak up and act in time" to prevent such incidents. "You cannot aspire for the moral lecterns of self-righteous leadership without having the courage of your conviction to call a spade a spade. Persecuting your own people cannot be portrayed or disguised as alleged resistance based on a political cause. "Robbing our children of their classrooms and of the prospects of academic growth is the greatest act of tyranny and oppression," the NC leader said. 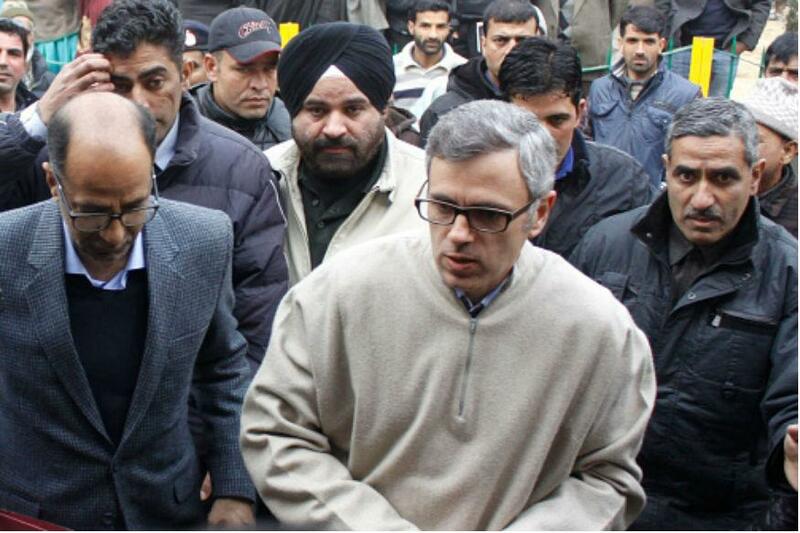 Omar expressed hope that the state government will "get its act together" and rise to the occasion to protect the schools. "Every new, tragic and saddening news of a gutted school is a verdict on the incompetence and inaction of the state government. We also hope that Hurriyat leaders gather the courage to say the right thing at the right time and do not allow the street to dictate their agenda and their sense of right and wrong. "Schools are centers of learning and enlightenment and an attack on our schools is an attack on our collective dignity and self-respect and will not be tolerated at any cost," Omar said. thesolar65, Inactive, R!CK and 1 other person like this. dadeechi and thesolar65 like this.